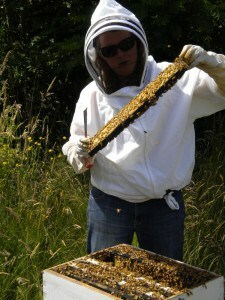 Guest Post: Beekeeping 101- How To Get Started With Bees! 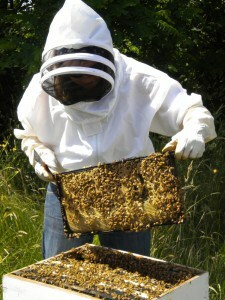 Beekeeping has been a part of my life for almost nine years and is one of my greatest passions. I particularly enjoy talking about bees, helping others get started with the hobby and spreading awareness about the importance of honeybees. 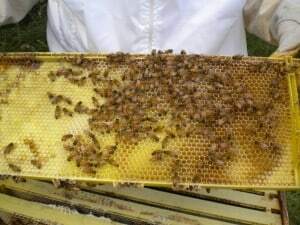 This post will introduce you to beginner beekeeping and how to help the honeybee even if you don’t want to keep them. I first became interested in honeybees while studying anthropology in college. The social structure of the honeybee is unlike any other living organism, and the level of organization, community and work ethic is second to none. Inside the hive, they are truly remarkable creatures. Outside the hive, they are both critically beneficial and incredibly fascinating to study. 5 – Enroll in a formal course. If you live in the Pacific Northwest, check out the Honeybee Centre in Surrey, B.C., Canada. Another option is to check out your nearest university and ask to speak with their agriculture department. Most state universities offer extension courses at the very least, but a number of them have an apiculturist on staff, too! 6 – Try to engage children in the hobby. 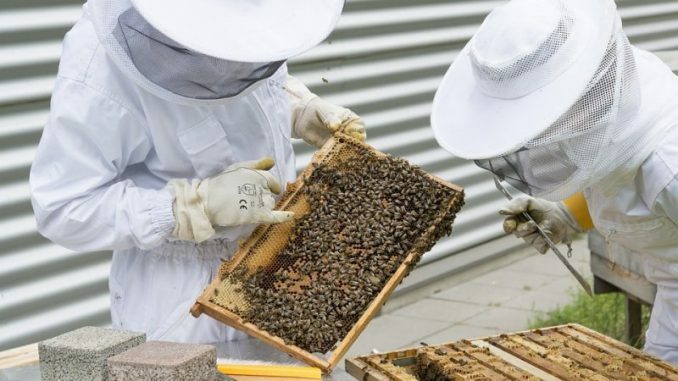 Getting kids involved with beekeeping is a wonderful way to instill an appreciation for the cyclical nature of our world and it is an amazing learning experience. I have a just turned three-year old who joins me for hive inspections and keeps a safe distance but constantly peppers me with questions as I go about my business. Family friends who homeschool have used an excursion to the bee field as part of their lesson plans. If being surrounded by thousands of flying insects is too spooky, there is always the honey extraction. Kids (and adults!) 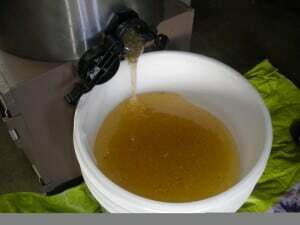 love seeing frames dripping wet with fresh honey as the wax coatings are cut with a hot knife, watching the extractor spin and filling up their first jar of the golden nectar. Children can be involved with beekeeping at any age to any level they want depending on safety concerns and their interest. Well, if you know you aren’t planning on keeping honeybees, thank you for sticking with me and reading the past 900 words. 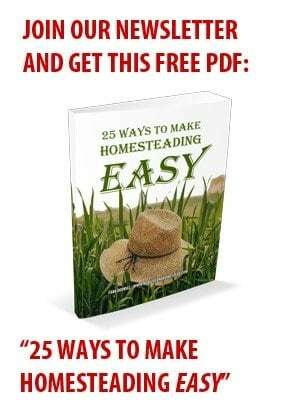 The next bit pertains to those interested in welcoming honeybees into the garden and providing a safe haven for an endangered insect. 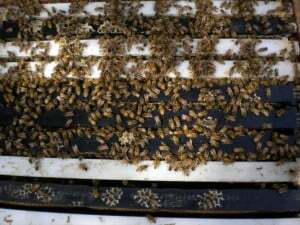 Five years ago, the term – Colony Collapse Disorder – first hit the presses when beekeepers nationwide were opening up their hives and finding total losses of up to 50%. The honeybee seems to be recovering from whatever the particular ailment was and the numbers are not declining at such a drastic rate. The fate of the honeybee became a hot-topic and particularly worrisome when considering that over one-third of the food on our table is the direct result of honeybee pollination. 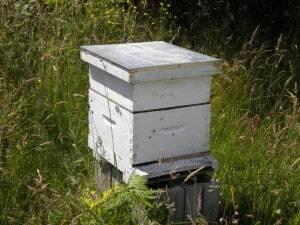 So, even if you aren’t interested or can’t keep honeybees, you would be doing a world of good to educate yourself on how to help keep them relatively safe and enjoy the benefits of their industrious work ethic. Check Out My Newest Sponsor! This is sooooo on my list of things to do, Thanks for the post!!!! Have noticed bee keeping getting more positive press, which is nice to see. Great post- interesting AND informative! I own a small piece of land that would be perfect for raising honey bees. Any problem with having them right at home where you live? Thank you for posting this. We moved to our farm a few months ago and are slowly getting to where we want to be. We are planning to add chickens and bees soon.